OSWEGO, NY – To be the champ, first you have to beat the champ. That’s the scenario as we head into the season finale in the SBS division this weekend, as three time and defending Oswego Speedway Small Block Supermodified Champion Mike Bond leads second place in points Kreig Heroth by just 10 points. By virtue of his win in the SBS feature last weekend, Heroth cut the margin by more than half, from 22 to 10 points, with one point race remaining. It’s a case of the veteran of the point battle wars, against the newcomer. 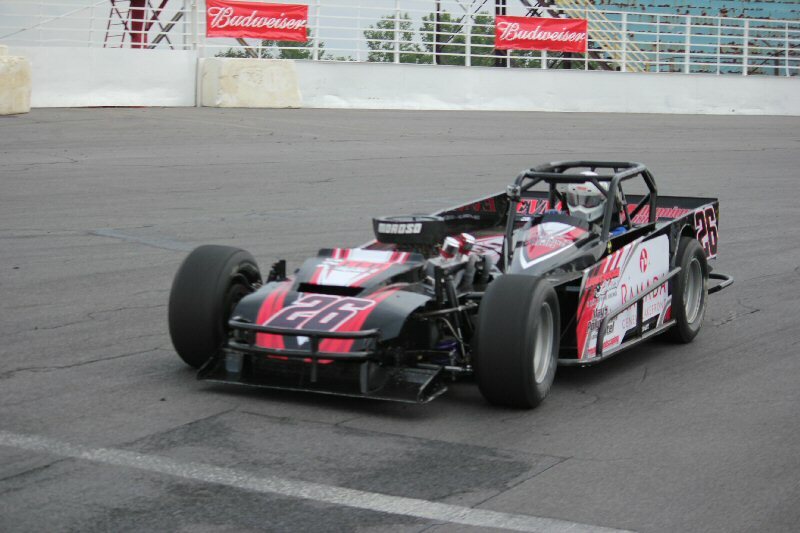 Bond is an Oswego Speedway Hall of Famer, and three time track champion(2003, 04, &11), while Heroth is in his first title fight in the Small Block Supermodified class. 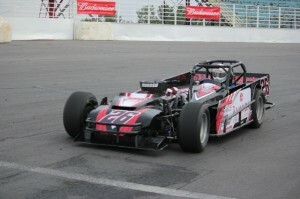 Heroth was the 2008 Small Block Supermodified Rookie of the Year, but has first legitimate shot at an Oswego Speedway track championship. He finished fourth in the 2010 title fight. Each driver has one race that they would like to use a mulligan in during the 2012 season. Bond’s 26 developed problems on the pace laps of the Opening Night race, and was credited with an 18th place finish. Heroth’s toughest race of the year came on a weekend of some of his career highlights, Race of Champions. In the past, RoC weekend saw Kreig win the SBS race, and Cup Light race, but this year the 04 blew a motor in warm ups, and saw him with a “did not start” in the feature event. Other than the bad night each driver had, they have been on a fast track to the front weekly. Week in and week out, fans keep close watch of the Bond and Heroth machines, as they weave their way to the front of the pack. Taking away each of those races for the 26 and 04 cars, both drivers have been in the top ten each and every week. There is certainly good reason the 26 and 04 teams are battling for the title in 2012. Coming into the Bosco and Geers season finale, each driver has one win on the year. Bond won on June 30, in the closest finish in SBS history as he edged out Jay Andrews by .001 seconds. Heroth dashed to victory just last week, translating a good car, a third row starting spot, and masterful driving enroute to his first win of the season. Both drivers have seven top fives on the year, and both have 10 top tens on the season. Kreig has three heat race wins, while Mike has topped the field in the qualifiers twice this year. Only ten points separate both these gentleman as they race for the 2012 Small Block Supermodified Oswego Speedway Track Championship. All it could take is a bobble here, missed set up there, an issue with another car in the vicinity of the title contendor, or just some plain old bad luck. Every lap, each pass, every move will be watched and monitored closely this Saturday night, as Mike Bond and Kreig Heroth race their way to the title. History will be made this Saturday night at Oswego speedway. Mike Bond goes for a division tying high 4th championship, while Kreig Heroth looks for his first ever Oswego Speedway track championship. It looks to be a night of drama in the SBS class, one that will land one driver into the Oswego Speedway history books.